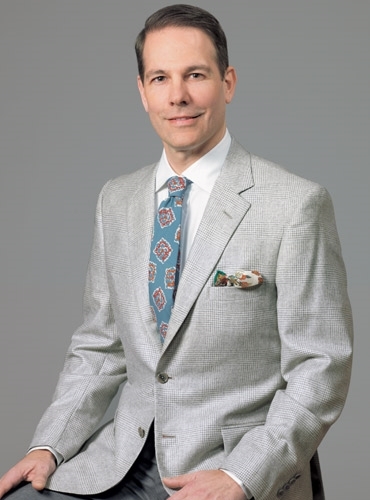 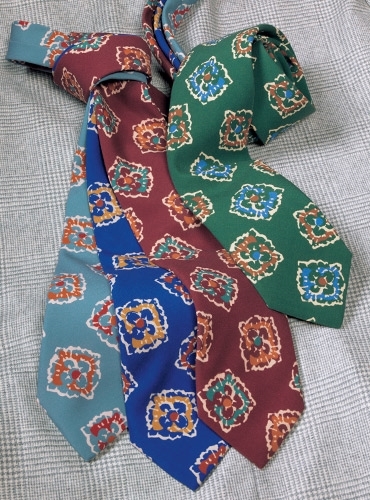 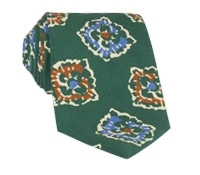 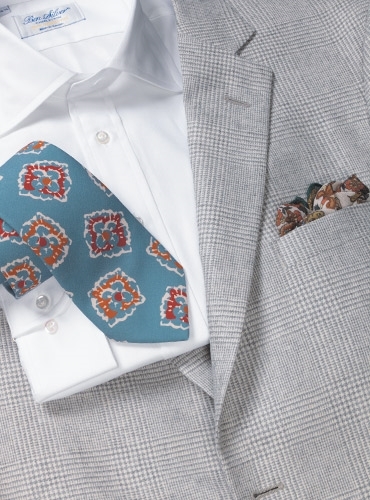 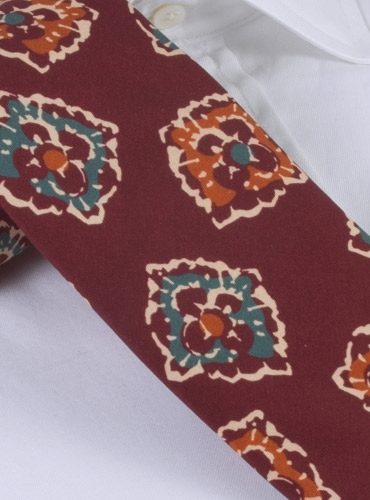 Our 100% silk printed floral ties are made exclusively for us in England by Drake’s of London. 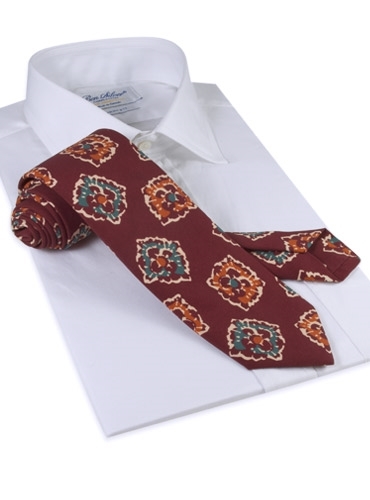 Shown here in C-burgundy. 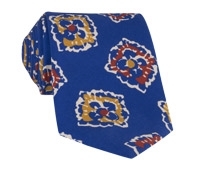 Also available in: A-steel blue; B-royal blue; D-forest.